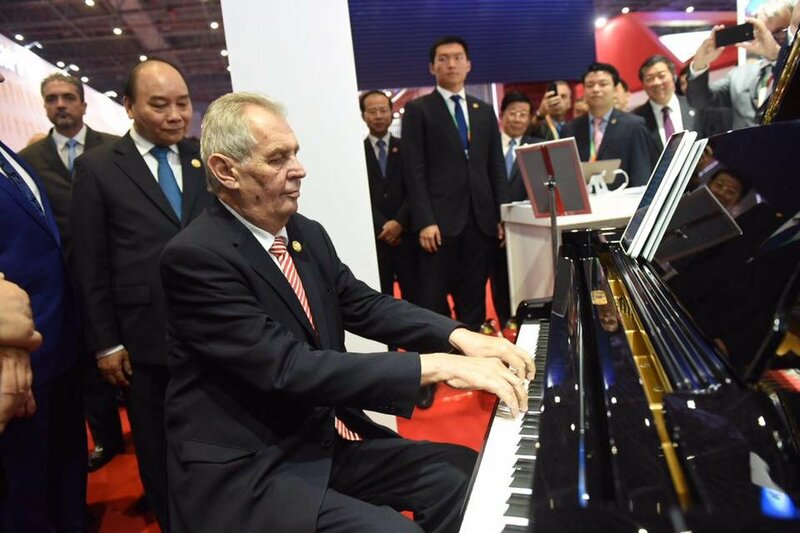 Czech President Miloš Zeman has introduced a PETROF grand piano to Chinese President Xi Jinping and Russian Prime Minister Dmitry Medvedev at the opening of the 1st import trade fair ‘China International Import Expo’ (CIIE) and he performed a short extract of the song ‘Sentimental Journey’ on the instrument. The piano itself, model ‘P 210 Pasat’, is part of the PETROF company presentation, which is being held in the Czech national pavilion on a 590 square metre space. The Czech exposition involves products of glasshouses, automobile industry, but also those of the field of toys and food industry. 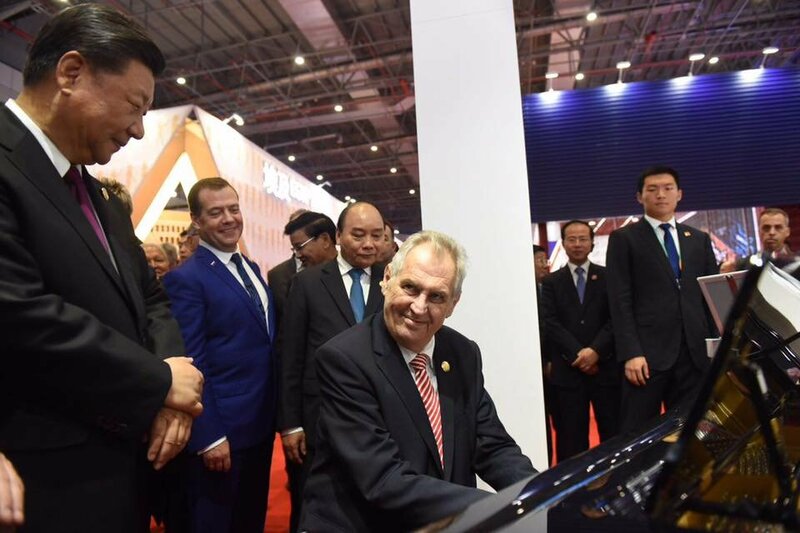 According to its organisers, the CIIE trade fair, bearing the subtitle ‘New Era, Common Future’, will host over 130 countries and their regions; 80 of them, including Czechia, are presenting themselves by respective national pavilions. More than 2,800 companies have applied for the event. CIIE is a significant milestone in the progressing opening of the Chinese market to the world. The trade fair sees China presenting itself as an importer with a great interest in foreign products. Moreover, it is a historical opportunity for companies from all over the world to make the first steps towards entering the Chinese market.